With nearly 44,000 RNs and an additional 3,500 advanced practice nurses, Kentucky has one of the highest concentrations of nurses per worker of any state. Nonetheless, according to a 2015 report by the Kentucky Center for Economic Policy, the state has suffered from a shortage of healthcare staff since the early 2000s. The problem was exacerbated when the Affordable Care Act passed and more residents gained access to healthcare. Before the ACA passed, the state needed 5,635 registered nurses to meet patient need, and today the nursing shortage is significantly higher. That applies equally to advanced practice nurses, some of whom are taking on primary care roles. 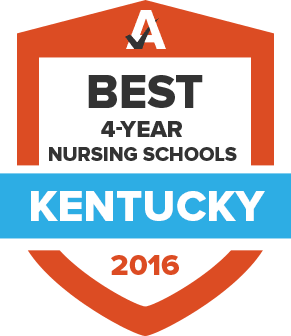 To explore how you can help Kentucky meet its nursing needs, compare nursing schools and programs and find out what it takes to start practicing. The Kentucky Board of Nursing provides licenses for nurses in the state. It is charged with enforcing state laws that govern the nursing profession, so the board imposes stringent rules when issuing licenses for practice. The agency also oversees Kentucky’s nursing education programs. After receiving an authorization to test (ATT) from Pearson VUE, applicants must schedule the exam within 90 days. Applicants who pass the test will be issued a license by the state. Those who do not pass will have to start the process over, except the jurisprudence exam. Background reports remain valid for six months from the date they were run. Applicants who graduated from an out-of-state program have an additional requirement: Within three years of their initial licensure, they must complete three hours of continuing education in domestic violence and one and a half hours in pediatric head abuse trauma. Advanced practice licensure in Kentucky is applicable to four groups: nurse practitioners, nurse anesthetists, nurse midwives and clinical nurse specialists. In order to renew an APRN license, advanced practice registered nurses need five hours of continuing education contact hours in pharmacology. In addition to paying the $65 to renew their RN license, they must pay $55 for each APRN specialty they are renewing. More details on APRN licensure can be found at the Kentucky Board of Nursing. Nurses interested in the mind-body approach to wellness can join the Kentuckiana Holistic Nurses Association. This regional branch of the American Holistic Nurses Association has RN members who are also reiki masters, BodyTalk practitioners, aroma therapists and experts in multiple other holistic health practices. The Kentucky Board of Nursing provides licenses for nurses in the state. The website is designed to facilitate the licensure process for new and veteran nurses alike. KCNPNM provides continuing education, professional publications and a career center to its members. It is also heavily involved in legislative advocacy, pushing for advanced practice nurses to play a stronger role in providing healthcare services to citizens. The Kentucky Emergency Nurses Association represents the needs of emergency nurses around the state. KYENA’s national body is the Emergency Nurses Association. The Kentucky Nurses Association is a full-service professional nursing organization that has existed since 1906, offering credentials, career services and continuing education to members. Its national body, the American Nurses Association, plays a strong role in advocating for healthcare policy; the Kentucky Nurses Association does the same on the state level. Nurses who work in schools can become members of the Kentucky School Nurses Association. Scholarships and continuing education courses are available to members.